يشكل فندق بريك فري أديلايد بموقعه الممتاز في المدينة نقطة انطلاق جيدة لاستكشاف أفضل ما فيها من معالم ومناطق نابضة بالحياة. يسهل الوصول إلى هذا الفندق ذو 4 نجوم من المطار، فهو يبعد عنه مسافة 8 km فقط. يوجد العديد من المعالم السياحية الأكثر جذبًا للسياح في هذه المنطقة. إن الخدمات الممتازة وحسن الضيافة العالي في فندق بريك فري أديلايد تجعل إقامتك تجربة لا تنسى. لضمان راحة ضيوفه، يقدم الفندق الخدمات التالية: مكتب الاستقبال على مدار الساعة, مرافق مخصصة لذوي الاحتياجات الخاصة, تخزين الأمتعة, واي فاي في المناطق العامة, صف السيارات . في فندق بريك فري أديلايد غرف نوم يزيد عددها عن 140 صممت بذوق وعناية لتوفر لك كل وسائل الراحة . بعضها يحتوي أيضاً على تلفزيون بشاشة مسطحة, سجاد, مرآة, شباشب, غرفة معيشة منفصلة. يقدم الفندق خدمات رائعة كمثل حديقة لمساعدتك على الاسترخاء بعد نهار طويل من النشاط والتجوال في المدينة. اكتشف مزيجاً ساحراً من الخدمة الاحترافية والخيارات الواسعة من وسائل الراحة والمتعة في فندق بريك فري أديلايد. Value for money and for location was very quiet and I stayed over the weekend in an apartment inside the court yard, it is located down the other end of hindley street so shopping wise is a bit of a walk from Rundell mall, but I didn't mind the walk and if my shopping was to much I just cab it . There's a miscommunication on service/room type requirement between hotel websites/ agents , resulting in a difference in bed arrangement. The hotel staff, Juliette and Karan, have tried hard to assist and solved the problem eventually. Many thanks for their being considerate and helpful. 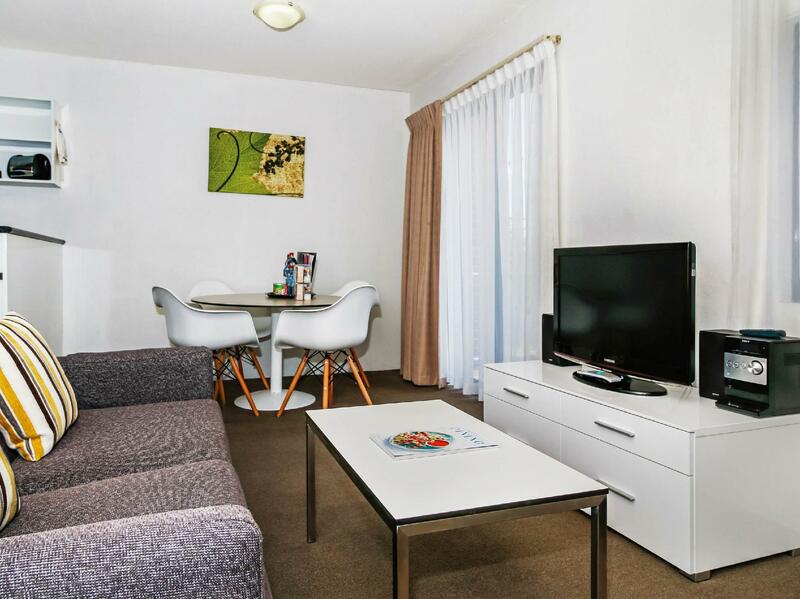 Affordable and central but nowhere near as nice as other mantra properties I’ve been to. The apartment were exactly what we needed, especially the washing machine and dryer. 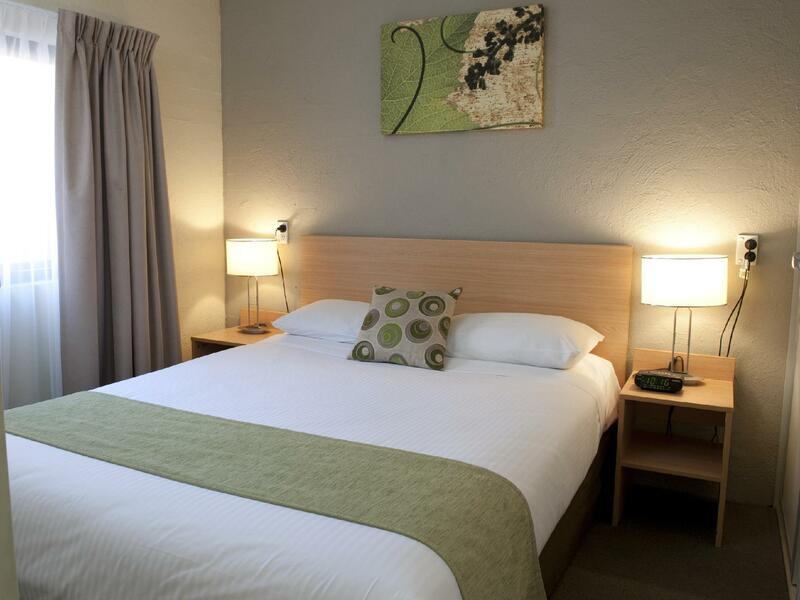 The rooms were in good condition and it was a short walk to the city centre. Only downside was there weren't wifi in the rooms. Highly recommended and would definitely stay there again. 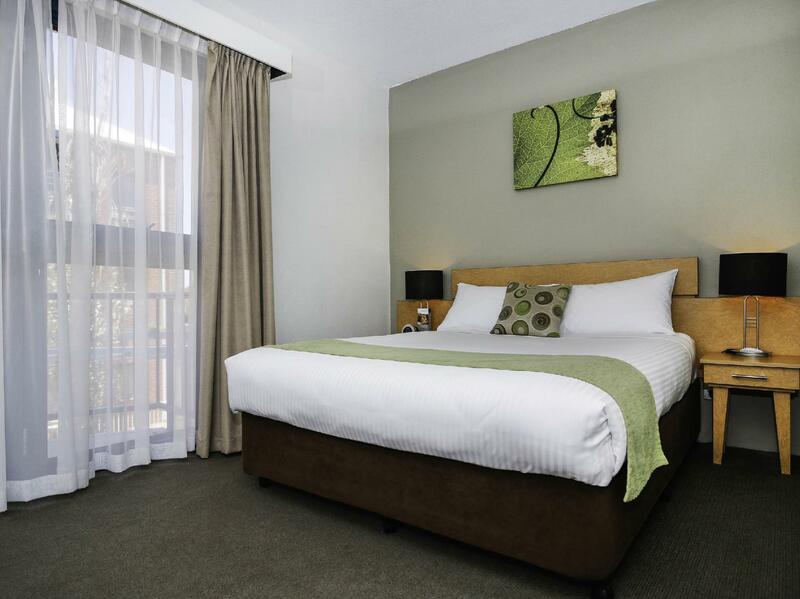 BreakFree is located within walking distance to Adelaide's shopping, restaurant and nightclub districts. It has easy access to bus and tram stops. The room was a self-contained apartment, which allows for self-catering. It was a great place to relax after walking around in the 40+ December heat. Mr Roe at the front counter was delightful. A great stay. Great design with an outdoor living experience and a self contained apartment. Excellent location to the city and night life. Rooms are a good size with kitchen. Clean and tidy. Extra security on New Years Eve which made it even safer. Nice hotel with all the facilities in a room nice terrace. Big fridge and microwave. One negative point the mattress isn t confortable! I wouldn't recommend anyone this hotel. Ridiculous customer service. Receptionist threw our paper work to us and it almost felt on the ground. Her attitude was terrible. No room service. Room wasn't clean properly. Room smells like toilet. Towels, kitchen utilities, bathroom weren't clean. Room was so dusty. Had to pay extra for car park. Old building but well maintained fasilities, no gym fasilities, room heater doesnt work properly but staff gave me portable room heater once i asked, quiet room unless ur room facing the street, no housekeeping service for a week stay, wifi isnt strong enough. It was clean and the staff were friendly. They have onsite secure parking which is rare! We stayed in a 2 bedroom apartment that was a little cramped for 4. The bedrooms were small as were the living space and kitchen. The apartment amenities were adequate for a 3 night stay. Access to the apartment from the reception was through 2 sets of elevators and across an open non-sheltered area so when it rained it was a little inconvenient. Free wifi was available at the reception area. Paid secure car park was available and located in an indoor garage with direct access to the reception. 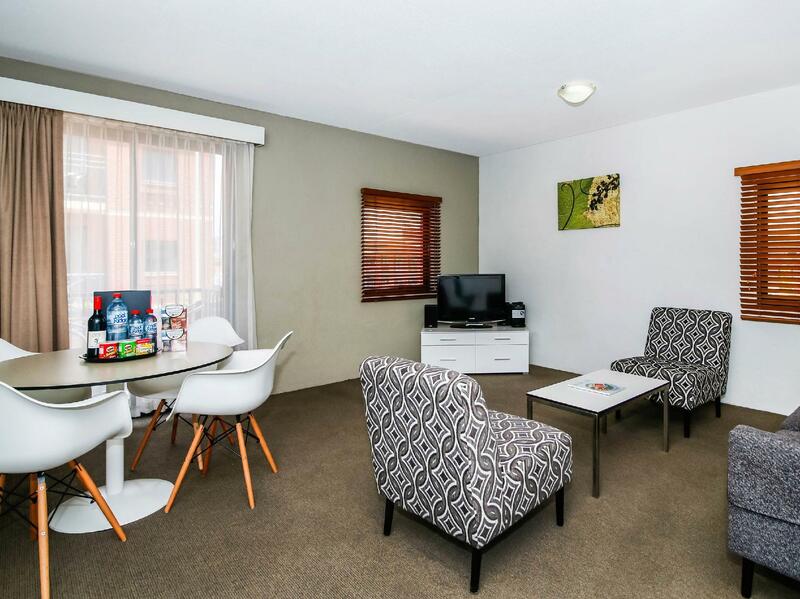 Great place to stay in central Adelaide. 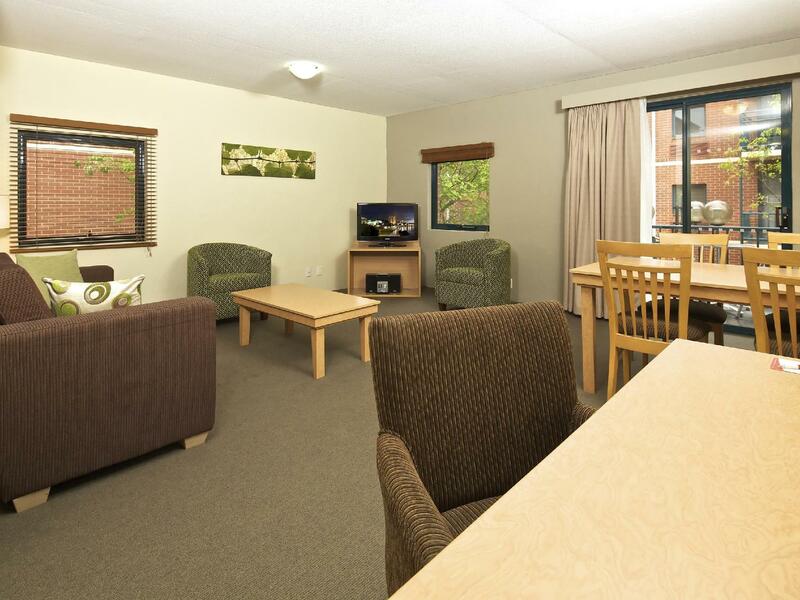 Walk to everything and rooms clean and well equipped. Great souvlaki shop across the road and secure parking underneath. A little street noise on Saturday night in front bedroom. 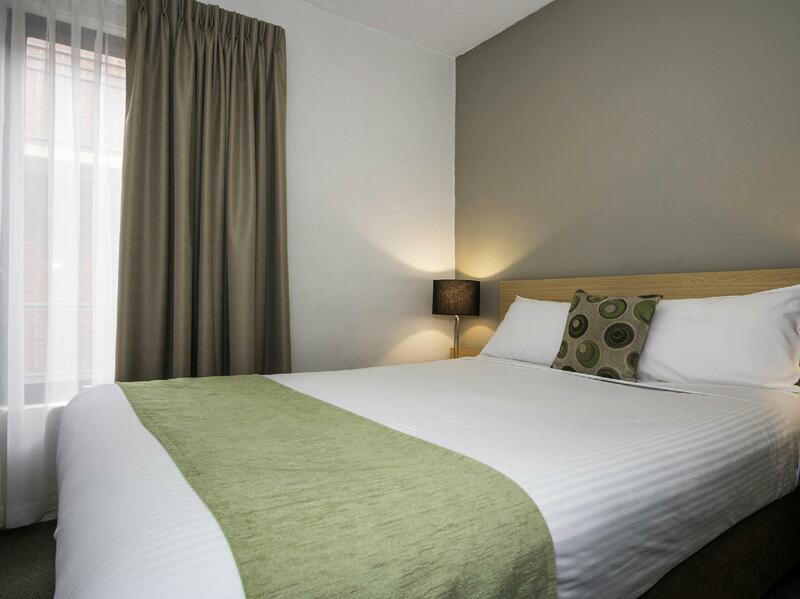 We stayed in a 2 bedroom apartment at the BreakFree for a night before continuing our travel. Friendly staff at reception and seamless check-in. Both of the bedrooms were of adequate size one with a queen size and the other one with 2 single beds. 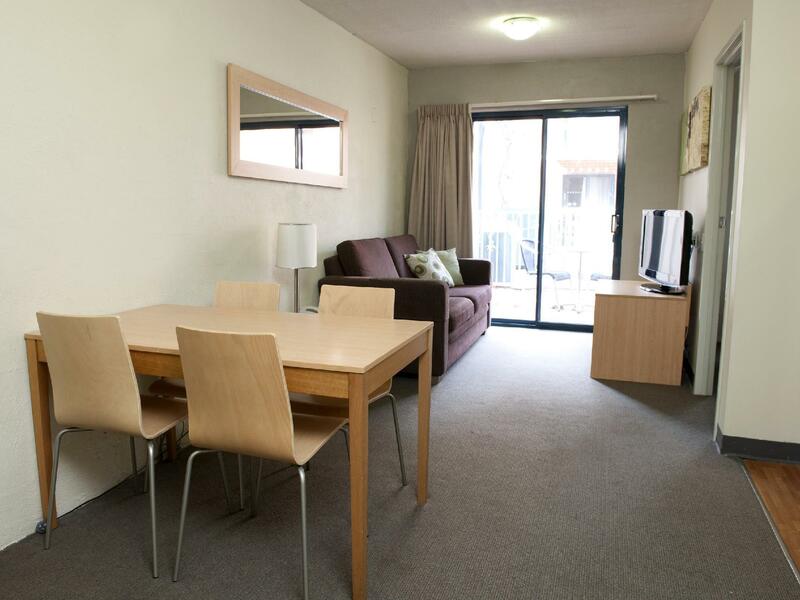 Good location and in walking distance to centre of CBD and surrounding attractions. Only downside is that no free WiFi is offered in your room. The BreakFree is a comfortable place with value for money. We stayed as a transit couple and found it adequate except for the internet. They claimed it has free WiFi but it was only in the "lounge" off the lobby and connection was VERY poor. One person was using Skype and no one else could access and their Skype business meeting did not offer any privacy. (Went to the gaming venue next door for free and fast WiFi). Did not eat at the hotel so my rating for food reflects neither good or bad! My stay at BreakFree was excellent. 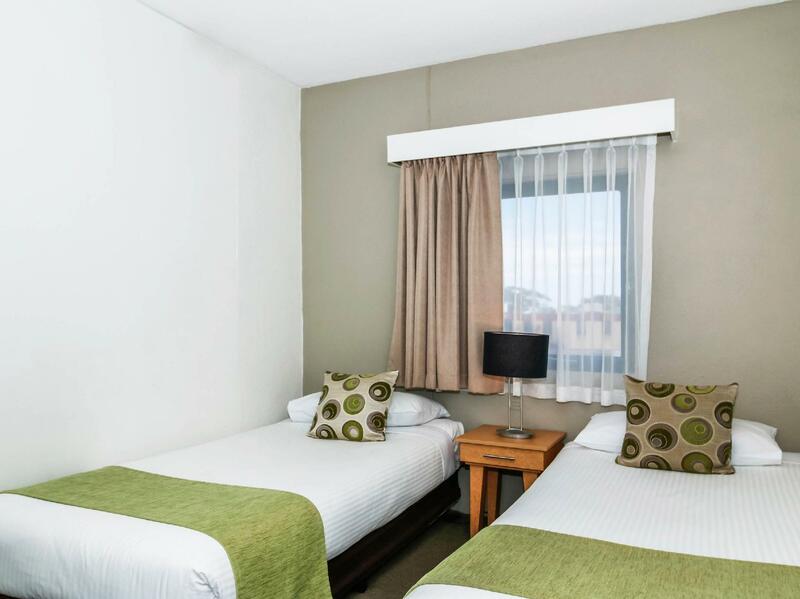 It is convenient, about a 10-15 minute walk from Rundle Mall, less than 5 minute walk to the free shuttle bus stop and tram stop. The cab fare from Adelaide Airport to the hotel is about A$20. The location of the hotel was very peaceful and serene. The free wifi and computer connected to printers at the hotel lobby are particularly useful. The receptionists were very helpful and friendly. The room is equipped with full cooking facilities - induction stoves, microwave oven, conventional oven, refrigerator, pots, plates, cutlery, and even salt and pepper! I There is a courtyard which is quite spacious and good for enjoying sunshine/night breeze. good location for cbd. student area but no problems. upgraded to a two bedroom apartment. the bedrooms are small but you only sleep in them. living area good. kitchen area good. you are on holiday so not doing a great amount of cooking. generally ticked all the boxes for what we needed. building work is going on near by but they obviously had curfew times and was not a problem and the hotel have no control over their hours.